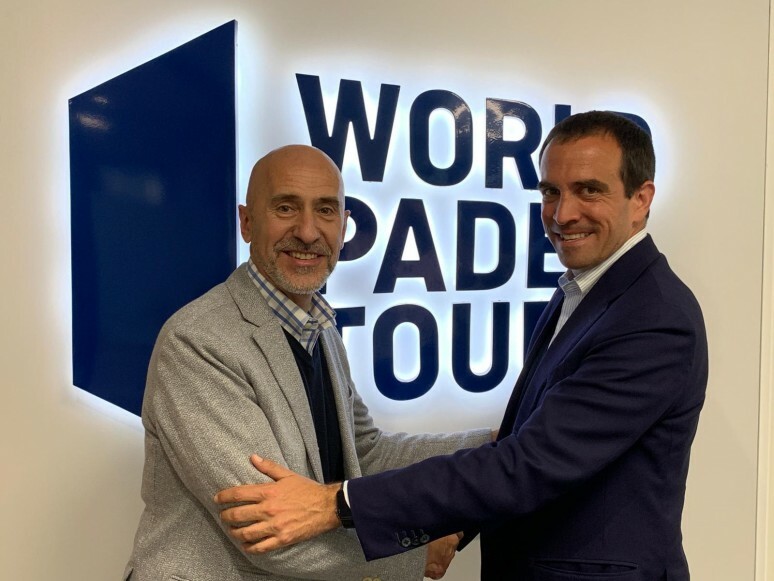 World Padel Tour received this tuesday in its headquarters in Madrid, the visit of the President of the International Padel Federation (FIP), Luigi Carraro, who has held a working meeting with the General Director of World Padel Tour, Mario Hernando. A meeting that has served to continue promoting the fluidity of the relations between both institutions. In the agenda, many points that both entities have in common, and whose willingness is to continue to promote over the coming months. The meeting draws the will of these two institutions to strengthen, improve and advance relations between the FIP and World Padel Tour, main objective since the Italian Carraro, was elected as the highest representative of the FIP at the end of 2018. Since then, the foundations have been laid for a solid, determined and mutually beneficial collaboration on the part of these two entities. A bet for the collaboration and the common impulse of initiatives and new challenges that padel has to confront. Mario Hernando valued this new meeting with the president of the FIP: "We already welcomed Lugi Carraro to his new position as head of the International Federation and today we welcome him to our house. He is a person who wants to lead a change in the FIP and is working to achieve it, a change for the good of padel and the growth of the sport. From World Padel Tour, we share that goal of taking padel to levels of global professionalization that other sports already have. We want to work hand in hand with the FIP for the development of many initiatives, ideas and projects that we have in mind, and that always start with the same objective: the growth of padel. For the sport, to evolve and become globalized, will be better for amateurs, players and professionals, that's why I am convinced that we are taking the first steps in a path and in a relationship that I hope will be very fruitful between the FIP and World Padel Tour." After the meeting, Luigi Carraro said: "I want to thank World Padel Tour for their invitation and I take this opportunity to congratulate this institution for everything it does for the world of padel. They offer an extraordinary show with improvements every year. Padel needs a close collaboration between the IFP and World Padel Tour to improve and develop our sport, both parties want a healthy and lasting growth of our sport, we are working on concrete collaborations that will give positive effects. I also believe that this strong collaboration will help us achieve our goal of making padel an Olympic discipline. "